Closing in on a million YouTube views and nearing 100,000 Instagram followers, one man’s passion for watches has led him to become one of the UAE’s most recognized influencers. Hassan Akhras, founder of Arab Watch Guide (AWG) has become the go-to man for watch brands with his daily content creation around timepieces. His road to success began in a coffee shop after being encouraged to share his knowledge of watches with those outside his circle of friends. A keen sportsman, he’s big into fitness, which means he’s regularly in the swimming pool or out for a morning run – and he has a watch to suit whatever sporting activity he’s doing. 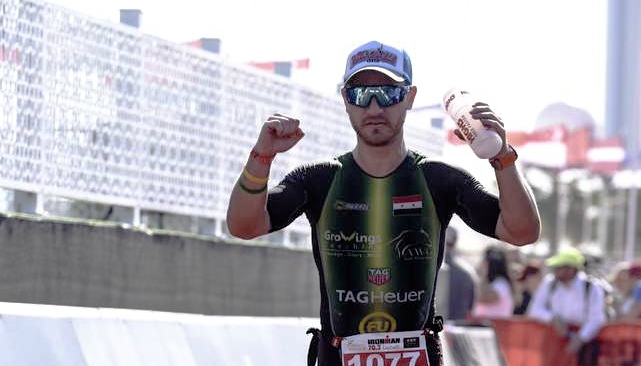 Earlier this year, Akhras teamed with TAG Heuer for Dubai’s IRONMAN70.3, the UAE’s ultimate endurance race, which required a year of intense preparation. The event itself sees competitors complete a 1.9km swim in the Arabian Gulf before jumping on a bike to cycle a whopping 90km loop along Umm Suqeim, followed by the final hurdle – a lung-burning 21.1km run along Jumeirah’s public beach. Not only does an Ironman take incredible physical ability, it also requires participants to be focused and disciplined with the event beginning at 5am. What’s more, there’s no time for messing around as athletes have a maximum of an hour and ten minutes to complete the first leg of the course. Akhras’ preparation for the event saw him working only with experienced Ironman trainers, to prepare him both mentally and physically for the challenge ahead. “IRONMAN70.3 was my 2017 target of the year, I started by hiring a three-time Ironman coach to teach me the different disciplines (running, swimming and cycling) to get me on the right path”, he tells Sport 360. “It took me over eleven months to get in shape for my first IRONMAN in Bahrain and the second one in Dubai. I did both in around 6 hours 40 mins, which as this was my first year as a triathlete, was quite an achievement”. While he has other income sources, thanks to investments, a large part of his business now comes from his online watch content, including his popular YouTube channel, which has amassed over 800,000 views – quite the number for someone who used to work 15 hour days as a strategy consultant. 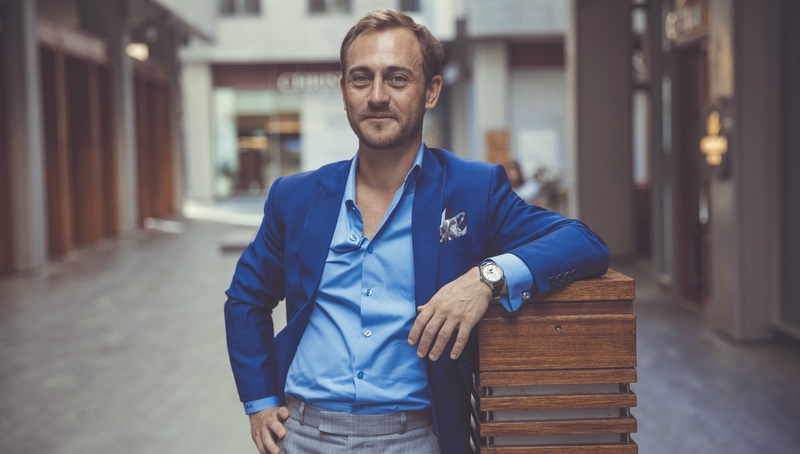 In fact, despite being tremendously passionate about watches, he only began thinking about them as a possible business opportunity after people encouraged him to share his knowledge with a wider audience. “The Arab Watch Guide platform started by coincidence while out with a bunch of friends. They suggested I share my excitement for watches so I started an online blog first and then an Instagram account”, he recalls. With a plethora of social media influencers now flooding online platforms, especially in the UAE, the key to a successful online brand is bringing something unique to the market. “I believe you need to set yourself apart with your own style of content, messaging and avoid following the crowd or just repeating what’s out there”, he advises those looking to get ahead online. “There are too many people on social media now and if you want to be successful you need to create original content and be true to what you write and share”. As you’d expect with a watch connoisseur, his collection boasts some of the most sought-after timepieces out there. In fact, he rarely travels with less than three watches at one time, which he alternates during the day. Some of the most valuable, among the forty watches he owns are his Patek World Time, Girard-Perregaux Laureato Skeleton Ceramic, Jaeger-LeCoultre Duometre, Vacheron Constantin Historique 1942 and HYT H0. He doesn’t reveal the value of his collection, as he doesn’t know the exact amount, plus and doesn’t ever intend on selling any of the pieces he owns. Unless you know a thing or two about watches yourself these brand names may well just go over your head, which is why Akhras also keeps in the loop with the more affordable watches, notably the Apple Watch. “I like the design and all the options it provides in terms of cases and straps”, he says. “I think it’s slick and, as an Apple user, the apps are very easy to manipulate and to operate on the watch. I don’t mind smart watches in general, but I don’t use them for anything other than sports monitoring activities. For the IRONMAN I wore a TAG Heuer Connected watch”. When he’s not using a watch to monitor his sporting performance the Syrian will still be wearing some form of wrist clock to match his outfit if nothing else. He insists all the watches he buys are ones he feels a connection to, and doesn’t buy any for the sake of it. With that said, he has picked up some rare limited edition watches, and like many in his collection, he expects only to go up in value. He offers advice to those seeking to make a few dirhams in the watch game, “Always go for Patek Philippe, and some vintage Rolexes”, as they perform very well in Auctions. So if you fancy yourself as the next watch influencer, Akras has written the blueprint, and with such a buzz around social media, for those inspired to get involved themselves now’s the time to get started. Being the oldest Commonwealth Games competitor in history at age 79 would be life-defining for most people, but not Bob Pitcairn: as a commercial airline pilot he foiled a hijacking. 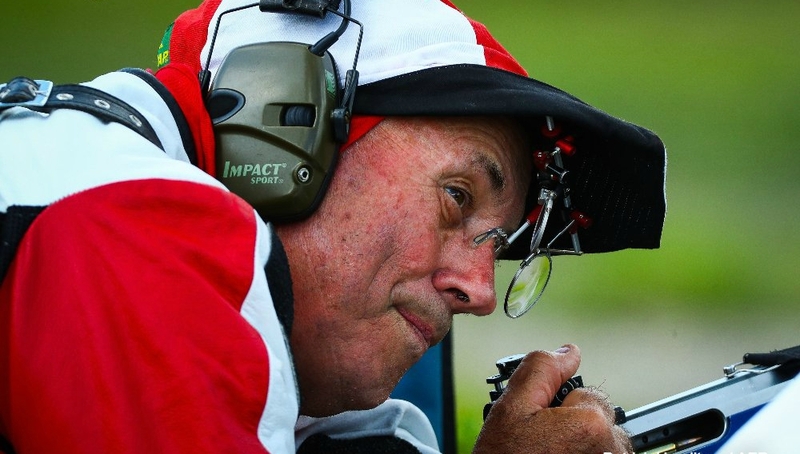 Just weeks shy of his 80th birthday, the Canadian and his team-mate came a respectable eighth of 16 in the Queen’s Prize Pairs finals fullbore shooting on Tuesday in Brisbane. It might have been Pitcairn’s Games debut this week, but the focus was just as much on his heroic past as his record-breaking present. In 1974, Pitcairn was flying a Boeing 737 domestic CP Air flight carrying 120 passengers from Montreal when a hijacker armed with a knife made his move, repeatedly attacking a crew member and demanding they fly to Cyprus. Fresh from training weeks earlier for just this type of emergency, Pitcairn kept his cool and attempted to confuse the attacker, convincing the agitated man that they needed to stop in the Canadian city of Saskatoon to refuel. By the time they landed, the hijacker had given up on his plan and Pitcairn escorted him on to the tarmac and into the waiting hands of police. He was sentenced to seven years in prison. “I felt sorry for my crew, all of them were traumatised from that,” Pitcairn said on Tuesday, reliving the incident. “I wore it fairly well, but being captain of the airplane you have to, it’s your job. The lady who was hurt by him, she never flew again. That’s the tragic part of it, people lost their jobs over fear. Asked by AFP if the traumatic experience had changed him as a person, Pitcairn, who retired as a commercial pilot in 1998, replied with a smile: “No, it’s just me. 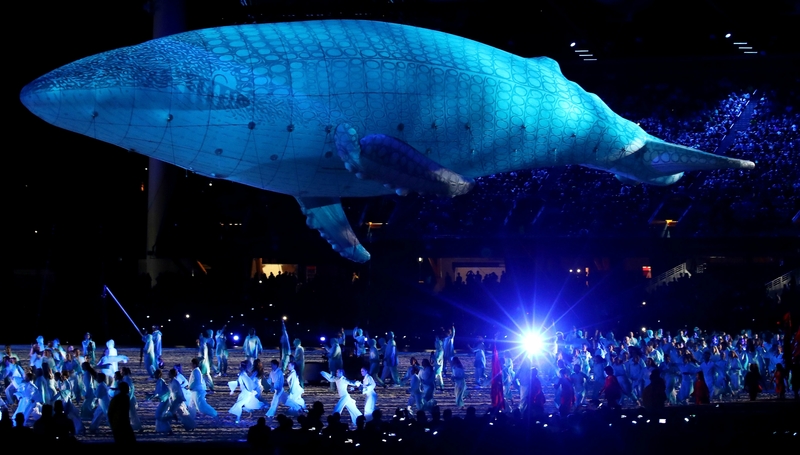 The biggest legend of #GC2018? It has to be this guy right? Canada's Bob Pitcairn becomes the oldest Commonwealth Games competitor ever in the shooting today, at 79. Not only that, the ex-pilot once landed 120 passengers during a hijacking attempt. That means not getting flustered under pressure. “I don’t get too excited and if I get in trouble I dig my way out of it,” he said. Pitcairn, who just missed out on a spot at the 2002 Commonwealth Games in Manchester, goes into the Games record books having overtaken previous oldest competitor Doreen Flanders. The English lawn bowler took part at Glasgow 2014 a few weeks after her 79th birthday. Pitcairn turns 80 in June and will also compete in Wednesday’s Queen’s Prize individual. “We shall see how the old fella goes tomorrow,” he said with a glint in his eye. He started fullbore shooting in 1960 and took part in national and international competition, but his flying career too often got in the way. Central to success in the sport – and flying a plane full of passengers in the face of a hijacking – is mental strength, Pitcairn said.